In a busy hospital or outpatient clinic, optimizing patient flow can be a challenge. Without enhanced patient visibility, throughput slows, wait times increase and overcrowding can occur. According to the American Hospital Association, poor patient flow stems from a lack of data and communication. Tracking patient flow in real-time through enterprise-wide location technology can show staff exactly where patients are at all times, how long they’ve been there, who they’re with and other important information at the click of a button. Expedited patient check-in and post-op check-out: As soon as a patient is registered into the EMR, their data is automatically entered into the patient flow system, which automates the admission and discharge processes. The more efficient a healthcare facility is at admitting and discharging patients, the more patients they can treat each day. Operating room efficiency improvements: Real-time and historical data that is easily accessible to the entire surgical staff can reduce communication errors and improve patient safety in the OR. Improved future encounters from data collected: The more a team knows about an individual, the better they can plan for subsequent experiences. Patient flow data can help staff make wise choices about individualized care, such as how much time to allow for each patient. More effective scheduling: When combined with EMR systems, patient flow data provides insight into optimal start times, the overall length of the procedure, and any time needed pre- and post-procedure. This individualized knowledge of each patient ensures that procedures do not run over and daily schedules can be strictly followed. Automating processes for overall workflow improvement: Combining current patient flow data and medical records into one system. Keeping all patient information in one place ensures that all information is available to clinicians when needed and no critical data gets missed. Ensures all billable clinical activity is documented: Patients may see multiple professionals or require the use of multiple pieces of equipment during their time at a hospital or outpatient clinic. Real-time data makes patient billing information easily accessible by each necessary staff member. Timestamp patient engagements: From the time a patient is admitted, staff members can see a record of all patient care activities and will be notified if a patient has been waiting too long. This helps improve the patient experience as well as their overall care. 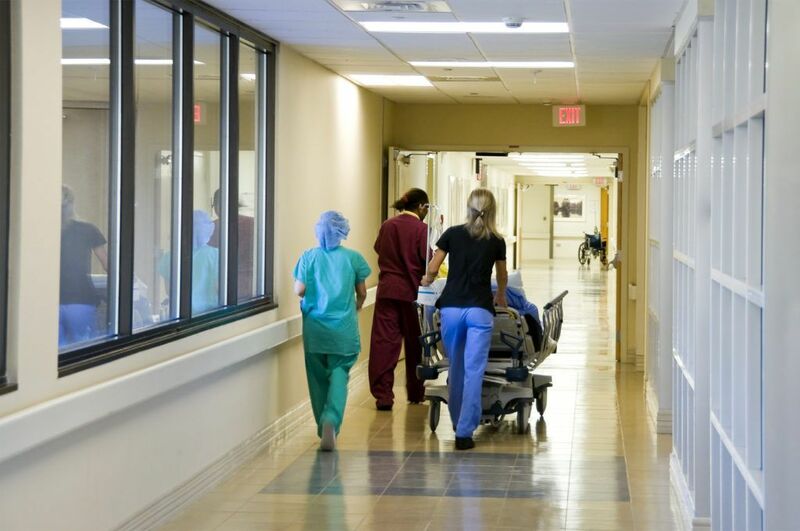 Optimize high-value encounters in the ED and OR: RTLS solutions provide hospital executives with customizable performance review reports, so ED and OR staff can continuously improve patient experiences. Patient flow data is essential in boosting efficiency and utilizing hospital resources. Combining this data with EMR provides a new evidence-based approach to patient care that will improve patient experience and extend the usefulness of the EMR system. CenTrak provides optimal solutions for patient flow data integration. CenTrak’s OR/ED Department Workflow and Outpatient Workflow solutions improve vital staff response times and communication through analytics and Clinical-Grade Locating. The Enterprise Location Services system integrates with over 130 applications, including top EMR systems. Healthcare facilities move quickly, and providers need a system that can keep up with the demands of clinical workflow while integrating patient data for an individualized experience. Contact CenTrak today to request a demo and learn more about incorporating Real-Time Location Services (RTLS) technology to improve workflow capacity.